In June, we took a trip to a place that few others go — the Faroe Islands. After last year’s trip to Iceland, I was looking for something similar, but with fewer people…a place that had a lot of natural beauty, but not huge tour buses. The Faroes seemed like the ideal place. We flew from Chicago to Copenhagen, spending a day and a half in Denmark. Then, Copenhagen to the island of Vagar. Why go through Denmark? 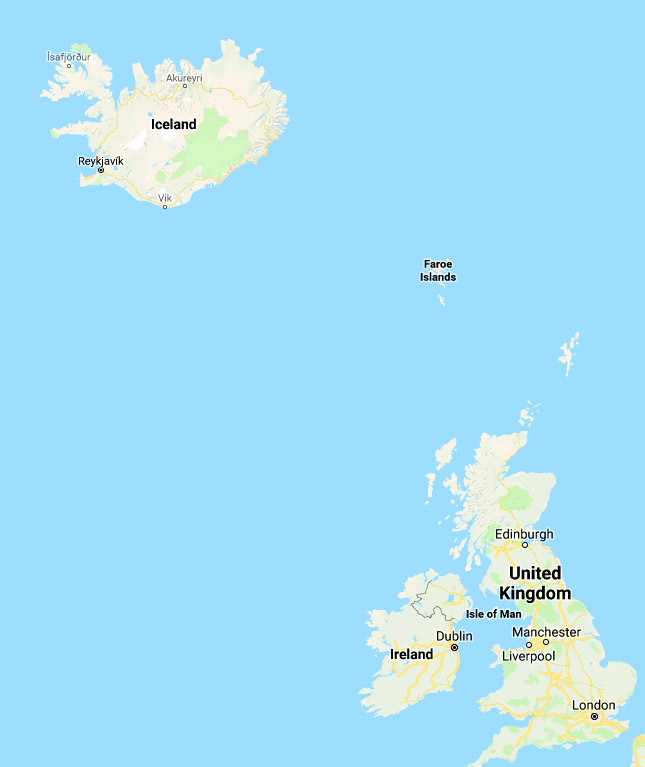 The Faroes are a self-governing country within the Kingdom of Denmark, so there are good flights between the two countries. 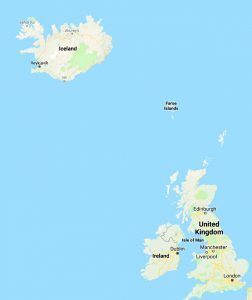 The Faroes are pretty remote — sitting in the North Atlantic between Iceland and Scotland. They are sparsely populated, with a population of just 50,000 people. There are residents on most islands, with many of the islands connected by a network of undersea tunnels. A few of the islands can only be reached by boat or car ferry. Our first stop on our trip was the town of Gasadalur, a short drive from the airport and accessed through a short tunnel bored through the mountainside. 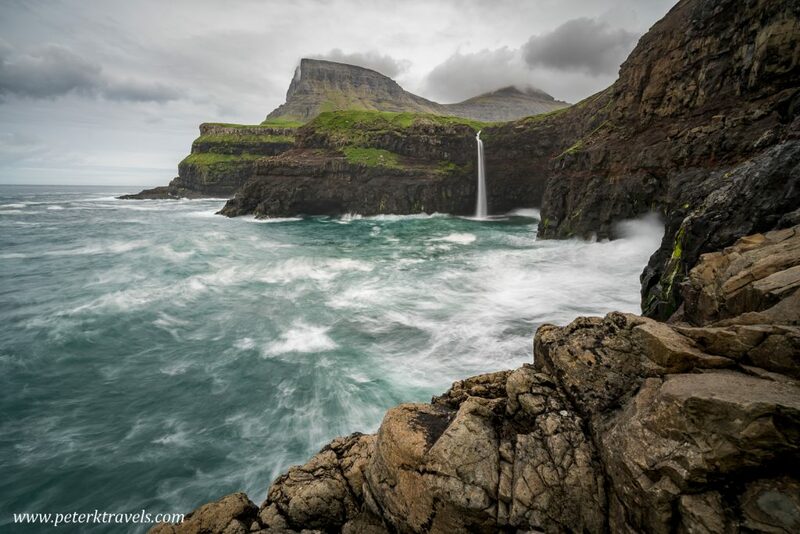 The reason for stopping was to see the waterfall Múlafossur, which plunges from below the town into the sea. As you can see, it was rather cloudy and rainy that day — most of our days were like that in the Faroes. This view is from below, on the rocks near the ocean. Most photographers shoot the waterfall from above. I have a few other nice shots of Múlafossur from the upper viewpoint, and I’ll probably share them in future posts.